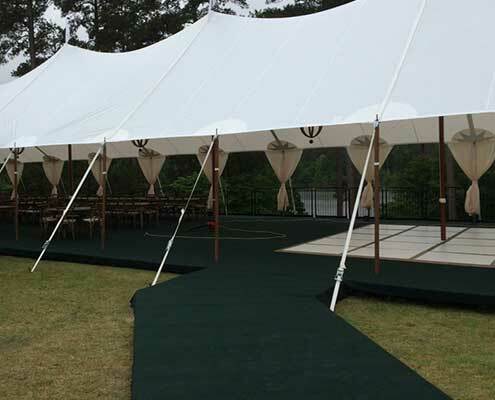 Wonderful events are built on a solid foundation. 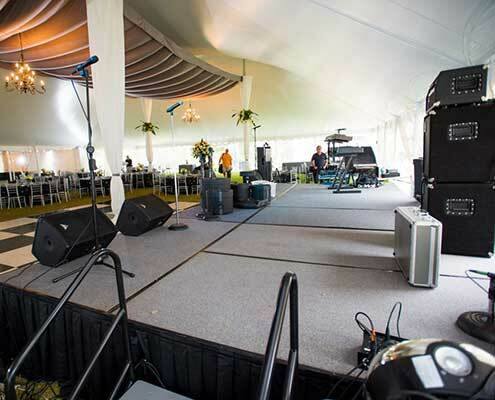 From dance floors and event decking to stages, we are here to help you from the ground up. 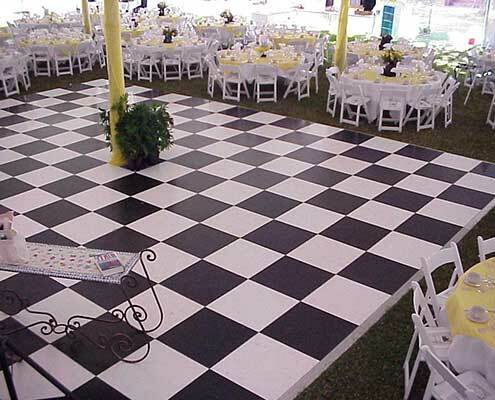 Our dance floors come in black, white, and wood and can be mixed together for a checkerboard effect. 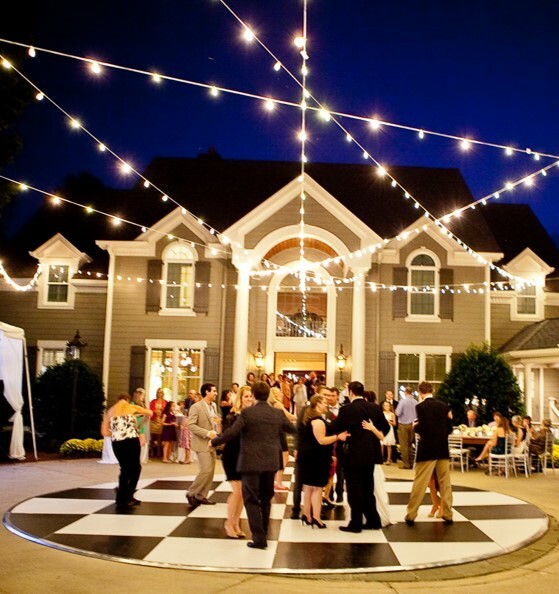 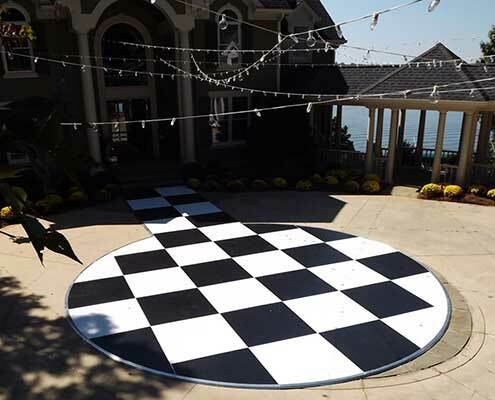 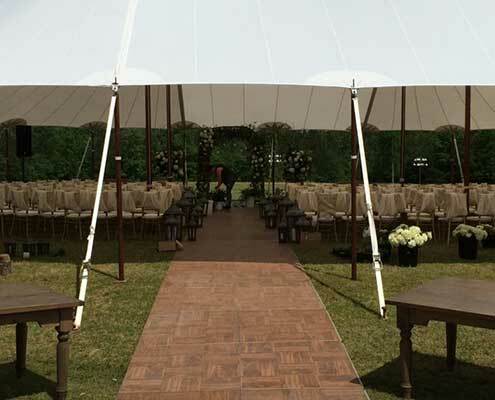 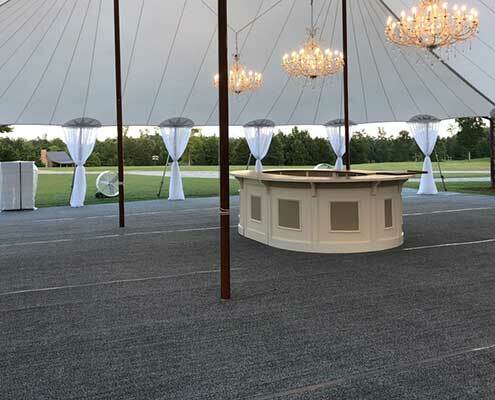 They can be virtually any size you need, and we even have a circular checkerboard dance floor! 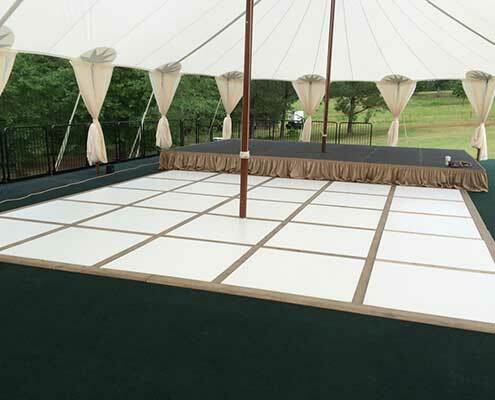 We can also provide event decking with carpet, if the grass isn’t so green (or level) at your location. 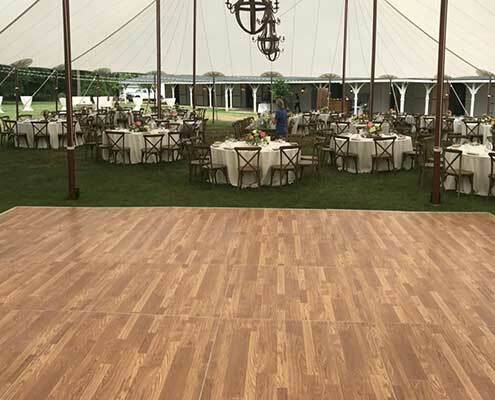 With our event decking options we can customize flooring for almost any terrain. 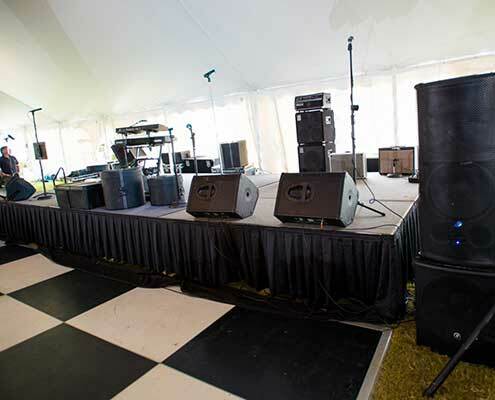 Stages can be made small or large, for your needs. 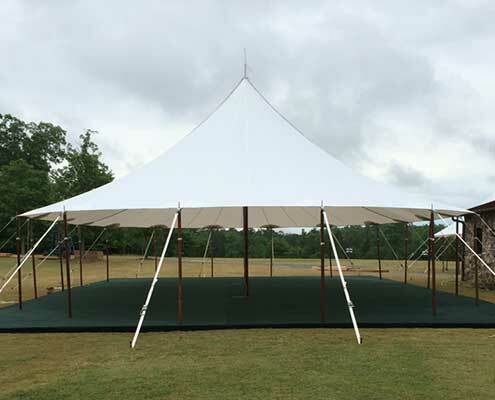 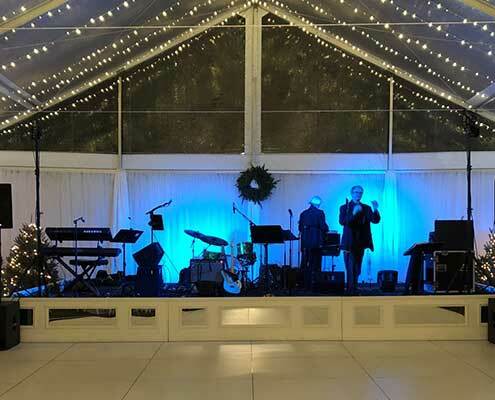 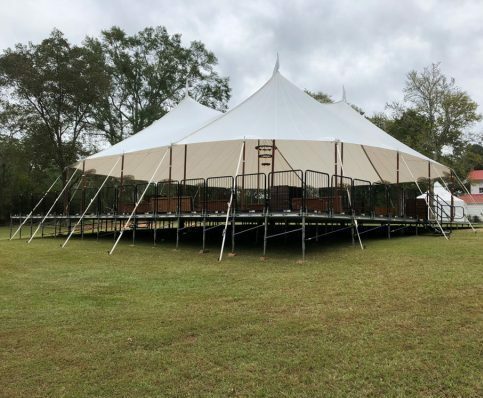 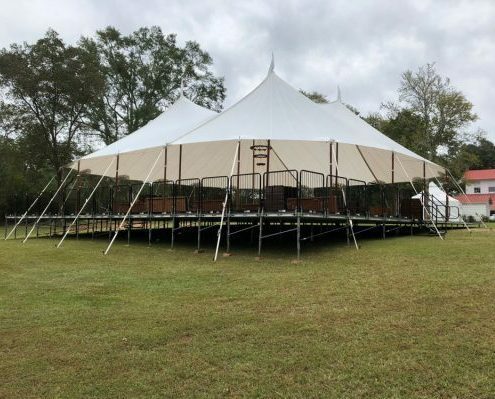 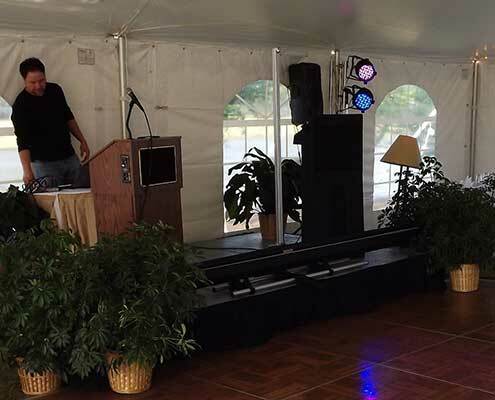 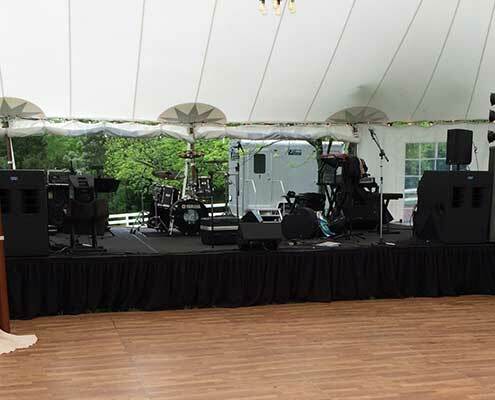 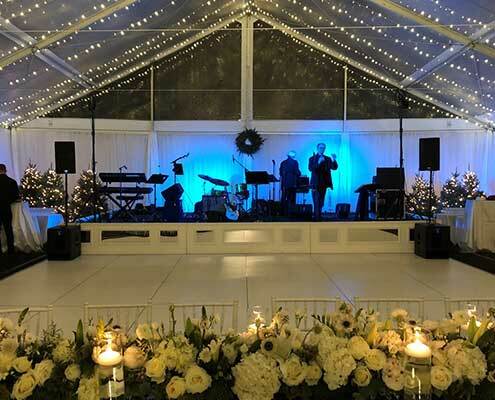 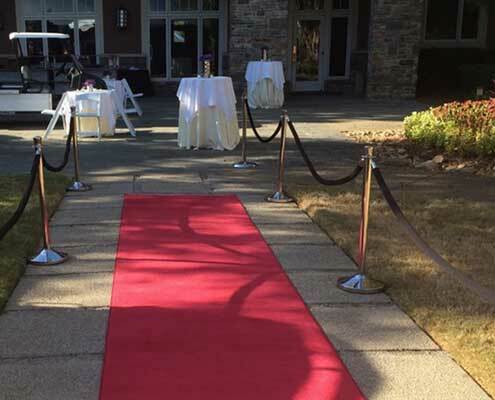 A standard stage has black skirting around the sides, but we can also build a custom stage surround to enhance the décor of your special event. 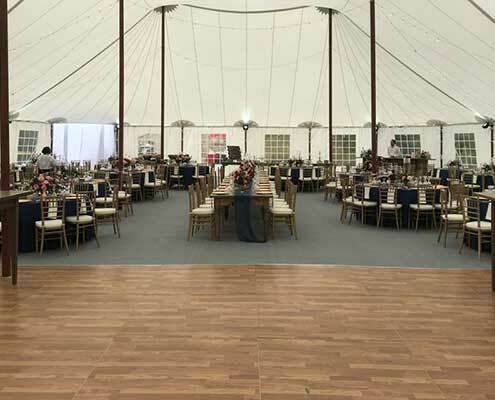 Please take a look at our gallery of photos above to get an idea of all we can do.